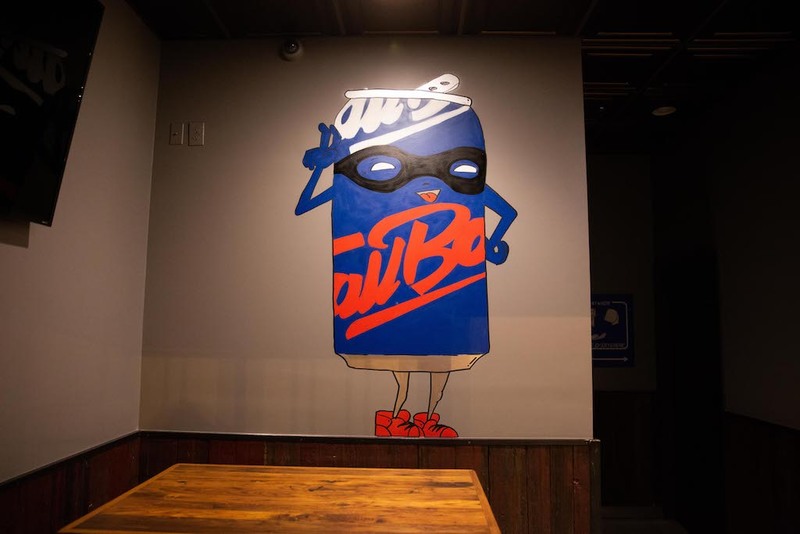 Tallboy opens in Shaw with late-night grilled cheese, wings, and big beers. Photograph courtesy of Tallboy. The fast-casual trend has changed DC’s lunch scene—and even how some approach a chef-y dinner—so why not extend it to nightlife? Bar entrepreneurs Geoff Dawson and Peter Bayne of the Tin Shop group (Penn Social, Church Hall) are playing with the format at their Shaw venture, Tallboy. The grilled cheese, wing, and beer-centric haunt opens March 7 in the former Smoked & Stacked space. Service will be bar-order only, while a wallet-friendly menu starts at $5 for beer and booze and hovers around $10 for food. “It’s so annoying when it’s three deep at the bar and you finally almost get there, and the person in front of you puts an elbow down,” says Bayne. The 30-seat space stays open late for hungry night owls. 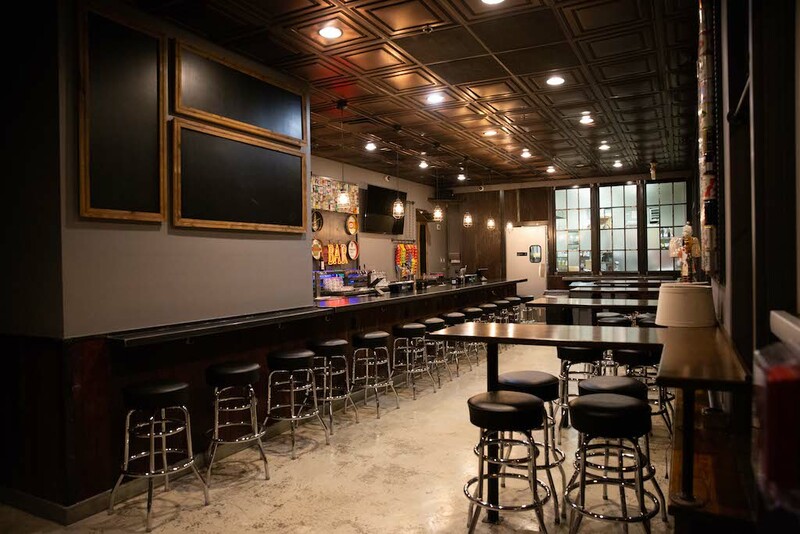 Tallboy will use a similar method at the bar for speedy service, though patrons are encouraged to linger in the 30-seat space over big beers—the name refers to 24-ounce canned brews—or during a game. For both the food and drink, Bayne says the idea was “back to the basics:” a cold $5 Narragansett tallboy, basket of hot wings, and maybe a Cuban. The idea for a grilled cheese menu came from the Ripple days (Dawson was a partner in the shuttered Cleveland Park restaurant) where a panini press would crank out sandwiches at the bar. A mural by local artist Kelly Towles. The kitchen will serve five varieties of rotating wings and grilled cheeses—all of which will be available until 1 AM, Sunday through Thursday, and 2 AM on Friday and Saturday (including online orders). If you miss Smoked & Stacked, try the sandwich of the same name, which features the same style of house-made pastrami, sauerkraut, thousand island, and Swiss. Sales of the “Tom & Cheese,” a classic American grilled cheese with side of smoked tomato soup, partially benefit So Others May Eat (SOME) and its efforts to provide aid to DC’s poor and homeless. The sandwich is named for Tom Marmet—a former Ripple employee and son of Dawson’s business partner in the restaurant—who was killed by a stray bullet last year when he was driving home from volunteering at the nonprofit. Tallboy. 1239 Ninth St., NW; 202-465-4822. Monday through Thursday, 3 PM to 2 AM; Friday and Saturday, noon to 3 AM; Sunday noon to 2 AM.